ABOUT THE IMOKILLY MOTOR CLUB. Tom O'Regan competing in the Historic Lakes in 1998. On the night of October 29th 1997 a group of motor enthusiasts gathered in McGraths Pub in Ballycotton with the view to forming a motor club. This part of the country used to see a lot of rallying over the years, with stages of the Cork 20 and the famous Glenside rally, but this hadn't happened for quite a few years. Many of those present on the first night are still heavily involved in the club. The first order of business on the night was to establish a name for the club. The minutes record that John "Chubby" Connors proposed that the new club would be called "Imokilly Motor Enthusiasts Club". This was seconded by Patrick McCarthy and so the club was born. The first committee was then elected. The committee then set about seeking affiliation to the Royal Irish Automobile Club. Little did we know at that stage that this was a process that would take over eight years. Year after year we applied for affiliation only to be turned down each time. The main stumbling block being the amount of other clubs in the area. Without affiliation the club were unable to run motorsport events so we spent these years helping out other clubs with their events and organizing social events for our members. Our dinner dance being the highlight of our year, some of these attracting nearly 250 guests. During that time we also dropped the word "enthusiasts" from the club name and the club became known as Imokilly Motor Club. Finally on the night of January 19th 2006 as one of our usual club meetings was taking place, a call came through from Motorsport Ireland, our affiliation had just been approved. Now we could organize our own events. Our main objective remained the same as it did on that night in October '97, to get rallying back into the area. However we would have to wait another 6 years for this. During these years we concentrated on other events, Autocrosses, Autotests, Hillclimbs and Rallysprints. 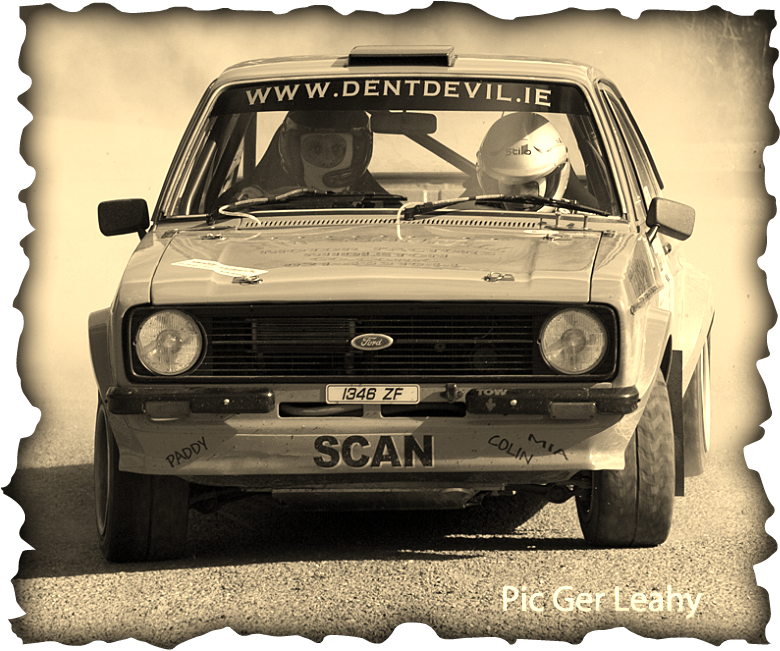 Finally our dream was fulfilled in 2012 when we ran the Great Stuff Caterers Imokilly Single Stage Rally. This has now become an annual event for the club and we also continue to run a number of other events each year. As a club we are always looking to recruit new members in order to keep our club strong and to help take it forward. If u have an interest in motorsport why not join and make motorsport happen in your area.